Close to 400,000 reservations (at $1000 each) have already been placed. With a price tag of $35,000 before incentives and a range of 200 miles or more, the Model 3 is proving there is incredible momentum in the US market for renewables and electrification. Accolades abound for Tesla. It’s luxury sedan, the Model S, received Consumer Reports highest ever rating (99/100), “Most Loved Car” award from AAA, "Best Invention of the Year" from Time, and “Most Important Car Ever Tested” from Top Gear. 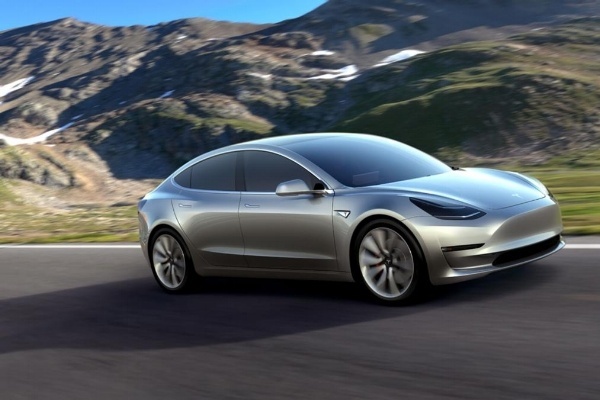 The Model 3 will undoubtedly receive similar praise as it enters the mass market. Notable features of the car include: incredible safety features, cutting-edge technology (including updates on nearest charging stations, automatic dashboard interface updates, and autopilot hardware), impeccable customer service, notable acceleration (0 to 60 in 6 seconds), significant range (CEO Elon Musk announced they are doubling the number of superchargers worldwide and quadrupling the number of destination chargers) and supercharging capabilities. And, of course, no gas, and no emissions. A report published by the National Resource Defense Council found that, "If 60 percent of U.S. light vehicles were powered by the electric grid, carbon emissions from the transportation sector would drop by one–third. This is equivalent to taking 82 million conventionally-powered cars – and the pollution they produce – off our roads." The “Plug-In Electric Drive Vehicle Credit” was introduced in 2009 to encourage the adoption of electric vehicles within the United States. The IRS offers a $7,500 federal tax credit to the first 200,000 cars a manufacturer sells. Model 3 reservations have already exceeded this threshold, but even though not all consumers will get the federal credit, other state-driven incentives do exist. Tesla lists state incentives here. Look into renewable energy to fight climate change at www.dasolar.com.